One year ago today, I held my first Writer Emergency Pack. It was a test deck, full of typos and formatting errors, but it felt like something worth pursuing. 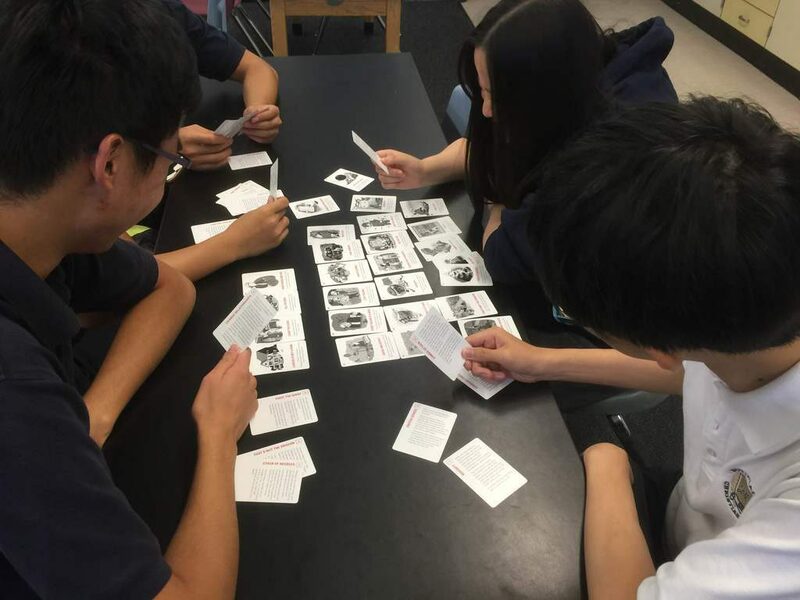 I showed the prototype to screenwriter friends, soliciting their feedback. I took several decks to the Austin Film Festival, passing them around during the live Scriptnotes session. On November 3rd, we launched our Kickstarter campaign for Writer Emergency Pack. Within an hour, we were fully funded. Within days, it was clear we were onto something big. Our 5,714 backers put us in the top one percent of projects in Kickstarter history. With a combination of planning, luck and paper cuts, we were able to send out decks to backers four months early, in time for Christmas. Since our initial 8,000 deck printing for Kickstarter, we’ve gone back to the presses five times. We began selling decks both on our storefront and Amazon. It’s been great to see the packs continuing to find new champions. When we launched the Kickstarter campaign, we pledged that for each deck we sent to backers, we’d send one to a great youth writing program. Over the past year, we’ve partnered with national organizations like NaNoWriMo’s Young Writers Program, local groups like 826LA and Young Storytellers — and even individual schools. Here’s a photo from last week, where students at Southland Christian School broke open their new pack. We hired Sarah Stephens as our education coordinator. Initially, she responded to teachers and programs requesting Writer Emergency Pack. Once that backlog cleared, she started reaching out to programs that hadn’t yet heard of the deck. As I write this, Writer Emergency Pack is in use in more than 2,000 classrooms worldwide, with many more to come. That’s all possible because of our amazing Kickstarter backers. So much has gone so well with Writer Emergency Pack this year that it’s tempting to overlook the things that haven’t gone according to plan. But as we look at the year ahead, it’s important to be honest about where we still have a lot of work to do. Writer Emergency Pack sells pretty well considering how little marketing we’ve done. Seriously, we’ve done almost nothing. I’ll write an occasional blog post or tweet — but those almost only reach my audience of aspiring screenwriters, many of whom were likely Kickstarter backers. When we actually reach out to other web sites and bloggers with a pitch and a promo code, we get a good amount of traffic. But that naturally dissipates, and we aren’t great at following up. Our first goal for 2016 is marketing Writer Emergency Pack to all creative writers, not just screenwriters. Soliciting reviewers and bloggers. If you write about writing, we’ll send you a deck and a promo card for your readers. We should have been doing this from the start. You can find more information on our Contact page. Optimizing for search and ads. We’ve overhauled the Writer Emergency site to not only look better, but function better when visitors arrive on any given page. We’ll be testing search ads that are keyed into specific pages on the site. For example, if you’re looking for “NaNoWriMo tips,” we’ll send you to a useful landing page that shows how Writer Emergency Pack can help you write your novel this November. 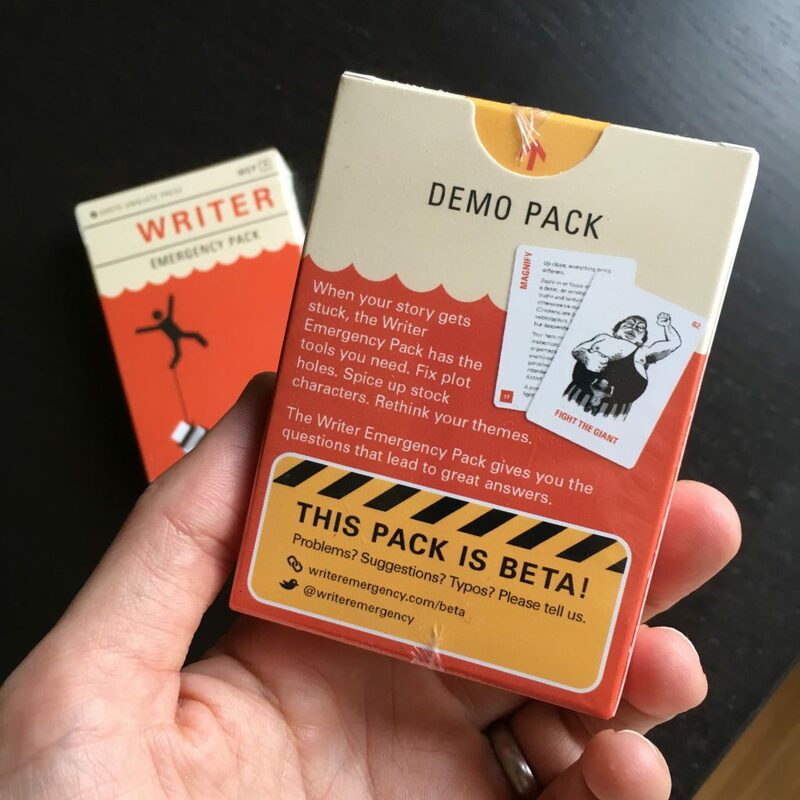 If you’re looking for a great “gift for writers”, that landing page will show you why your nephew will love Writer Emergency Pack. We’re not reinventing the wheel here; most sites do this. We just need to do the work. Magazine, podcast and website ads. In the next few months, we’ll be testing ads with distinct promo codes in different places to see what works. We’ve also talked about outdoor and radio spots. The real question is, who’s going to do all this? The main reason we haven’t done more/better marketing for Writer Emergency Pack is simply that we’re busy doing many other things. We may end up needing to hire someone whose primary job is keeping on top of our marketing efforts. For 2016, we need to do a better job getting ourselves in front of writers and people who love them. Before someone can buy Writer Emergency Pack, they have to know it exists. We haven’t succeeded in getting Writer Emergency Pack into brick-and-mortar stores. We made a few half-hearted efforts with independent bookstores in Los Angeles, but nothing has really panned out. And yet, I think it could. Every time I’m in a bookstore, I see a spot where Writer Emergency Pack would fit. Sometimes it’s on a shelf near the writing books. Other times, it’s near the register. But we’re not there, because we simply haven’t committed the time and resources to figuring it out. We’ve had conversations with some smart retail folks, and even a tentative discussion with a potential publisher/distributor. But we’ve never gotten past talking. Our second goal is to get into bookstores and gift shops. To do so, we’ll need to bring in someone who can really focus on retail. I don’t know if that’s a part-time employee who works for us — maybe the same person who is doing our marketing — or a distributor working for themselves. If you know the right person, we’d love to hear from you. Every week, we sell Writer Emergency Packs to buyers all over the world through our site. Unfortunately, they have to pay much higher shipping, and in some cases, customs fees. Our third goal is to improve the situation for international customers. We can do this a few ways. The first option would be to partner up with a distributor in a given country or region, so customers could buy locally. That means ceding some control, since we wouldn’t be shipping each order ourselves. Another option would be to add international warehouses, either through our current fulfillment service or by switching to somewhere new. When an order comes into the site, software would automatically route the order to a warehouse in the proper region, getting customers their decks cheaper and faster. Of all of our goals, this is probably the easiest to achieve. Setting up distribution the first time was exhausting, but adding new hubs shouldn’t be as difficult. And if we’re adding a US retail partner, they may have international options as well. We’ve shipped Writer Emergency Pack to 56 countries. A year ago, when I held that first version of Writer Emergency Pack, I couldn’t have anticipated what it would become. I didn’t know what would go right or what would go wrong. And I still don’t, really. When I write my two-year recap, Writer Emergency Pack might be bigger or smaller than it is today, and it’s hard to say whether our plans for the coming year will have much impact one way or the other. But as I look at the decks we’re sending out today — with typos fixed and artwork reconfigured — I’m both proud of what we’ve made and excited about what’s to come. I want to thank my team, along with all the backers and buyers who’ve made Writer Emergency Pack possible. Um… I’d really like a Writer Emergency App. I live out of a suitcase all over the world and carrying another thing just isn’t an option. I always considered seriously writing something, one day… but the main reason why I backed your Kickstarter was to have the Kit help me writing, improvising or improving Role Playing Games scenarios. Tabletops ones of course, not video games. This is really an area where you could easily do some marketing. ‘Role Players’ have dedicated magazines, websites, even hobby shops. and most of them around the world speak english, so they could use it as is. And they represent quite a bunch of people. Congratulations on all the success! I might be able to provide the connective tissue to a publisher with market presence. PM me if you’re interested. No guarantees, just a possibility.